Dr. Ellen Astrachan-Fletcher has a wealth and breadth of experience treating patients with mood, anxiety and eating disorders. She is Lecturer at Northwestern University’s Feinberg School of Medicine, Department of Psychiatry and Behavioral Sciences and Associate Professor of Clinical Psychology in the Department of Psychiatry at the University of Illinois at Chicago. She has over 20 years of clinical and teaching experience in the field of eating disorders and women’s mental health issues and has taught and supervised Psychiatry residents and fellows as well as Clinical Psychology interns and externs for many years. She was named Teacher of the Year by the Clinical Psychology Internship and Fellowship Program at the Northwestern University Feinberg School of Medicine in 2013. 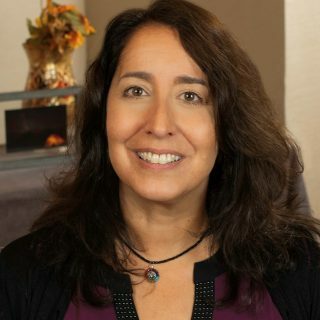 Dr. Astrachan-Fletcher is a senior RO DBT clinician, training directly under Tom Lynch and she is a nationally recognized expert in the field of DBT, is functionally trained in the FBT (Family-Based Treatment) model and is a frequent presenter at national eating disorders conferences. She co-authored The Dialectical Behavior Therapy Skills Workbook for Bulimia: Using DBT to Break the Cycle and Regain Control of Your Life (2009), which is used at eating disorders treatment facilities throughout the country.